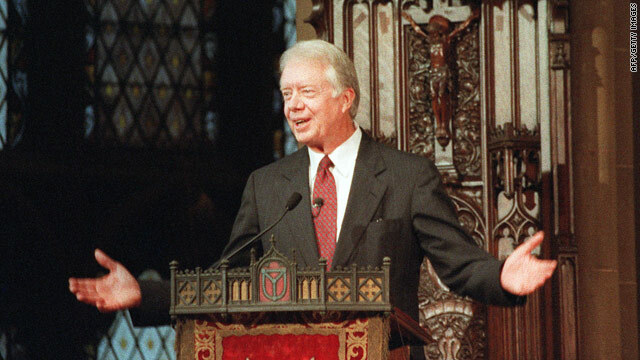 President Jimmy Carter's speaks at an interfaith service in New York in 1991. 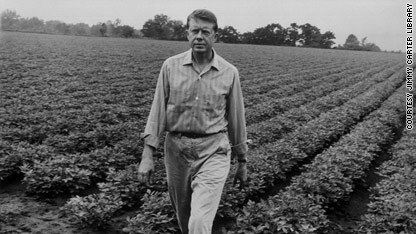 (CNN) – Jimmy Carter, peanut farmer turned president turned globe-trotting humanitarian, now has another line to add to his business card: Bible commentator. 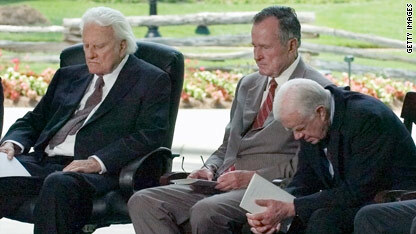 Last week Carter published a Lessons from Life Study Bible, with the subtitle Personal Reflections with Jimmy Carter. Carter brings some serious credentials to those notes. He served just one term as Georgia governor and one term as president, but is working on his seventh decade as a Sunday school teacher. Next entry »Was Saint Patrick a slave-trading tax collector? I would fine hard to beleave that the fromer President ia a christian at all he seems to go out his way speak against what the Bible Says about the Jews bing Gods people and they will be frist. I think he may think he's a great at the Bible but he's not the Bible has stood the test of time Jimmy could't run the county, but he keep running his mouth. A Jimmy Cater study Bible no thinks. ive been wondering the same thing since the album came out. Everyone knew when c3 was about to drop but i didnt know c4 was about to be reselaed until they announced it when he performed at the awards. plus baby just seems like the type that would buy out all the cd's just so he can brag and say wayne sold more than w.t.t and everything else that was coming out this year. I have realized some new items from your site about pc's. Another thing I've always believed is that computer systems have become a product that each household must have for most reasons. They offer convenient ways to organize the home, pay bills, shop, study, focus on music and in some cases watch tv shows. An innovative strategy to complete these tasks is a notebook computer. These pc's are portable ones, small, highly effective and portable. I'm curious to find out what blog system you are using? I'm experiencing some small security issues with my latest blog and I'd like to find something more secure. Do you have any suggestions? I think it's interesting that Carter dicsrebes Christian fundamentalists as such: "The fundamentalists believe they have a unique relationship with God, and that they and their ideas are God's ideas and God's premises on the particular issue. Therefore, by definition since they are speaking for God anyone who disagrees with them is inherently wrong. 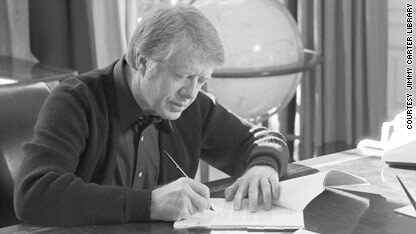 "Using Carter's logic, isn't this also an accurate description of Hezbollah?When asked about Israel's justification to attack Lebanon, Carter responds:"I don't think that Israel has any legal or moral justification for their massive bombing of the entire nation of Lebanon. What happened is that Israel is holding almost 10,000 prisoners, so when the militants in Lebanon or in Gaza take one or two soldiers, Israel looks upon this as a justification for an attack on the civilian population of Lebanon and Gaza. "I'm sure all 10,000 prisoners are in prison because they were crossing the street the wrong way – model citizens, every one of them. Carter never mentions the dozens of suicide bombings over the years in Israel or the countless rocket attacks against Israeli civilians.All this coming from the man who let the hostages rot in Iran.Israel, continue to stand firm.